Calling all small business owners: let’s talk about accepting payments from customers. Specifically, let’s talk about why online payment gateways make accepting payments so much easier. Do any of these scenarios sound familiar to you? You often ask customers to repeat their credit card numbers over the phone. You often ask customers to resend cheques when they forget to sign them. Your to-do list often includes payment processing, because you’re the only one with access to QuickBooks. If so, here’s some good news — using an online payment gateway will make these small annoyances go away. And the benefits don’t stop there! Payment gateways allow customers to easily make payments online. 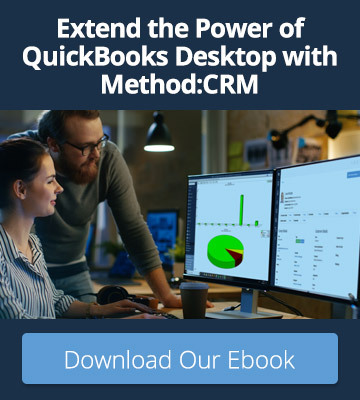 In addition, using a payment gateway with your QuickBooks-integrated CRM allows your staff to process payments immediately without needing access to QuickBooks. 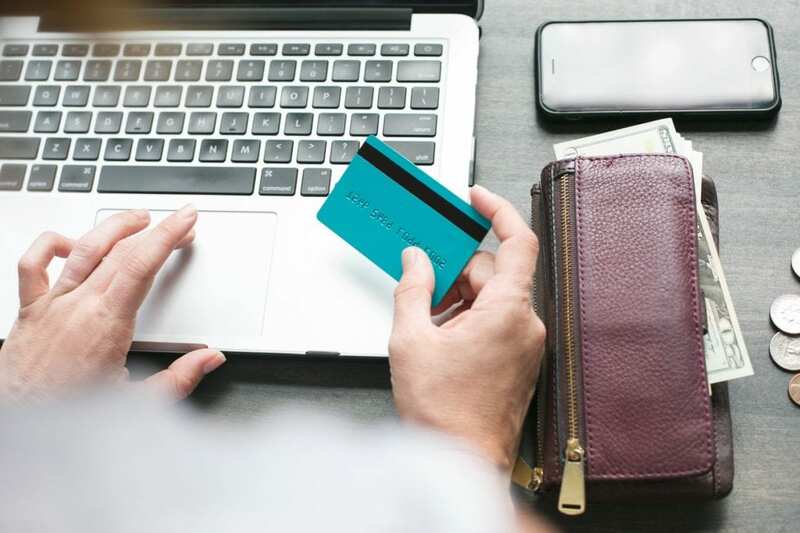 All in all, online payment gateways help you provide customers with a positive service experience that keeps them coming back to your business. In this article, we’ll go through everything you need to know about using a payment gateway with your QuickBooks CRM. The simplest explanation is that a payment gateway allows merchants to accept credit card payments online. But if we dive in a little deeper, the payment gateway is a service that transfers data between the payment portal (like a website or app) and the payment processor. Not sure what that means? Let’s imagine that a customer named Jane is purchasing a dog collar from an online retailer called Pet Pals. Jane’s web browser encrypts her credit card information and sends it to the Pet Pals server. Pet Pals sends the information to the payment gateway. The payment gateway sends the information to the payment processor. The payment processor sends the information to Visa. Visa approves or declines the purchase, and this result is sent back through the payment processor and payment gateway to reach Jane and Pet Pals. And voilà! This whole process takes just 2-3 seconds, and now Jane’s dog has a stylish new collar on the way. 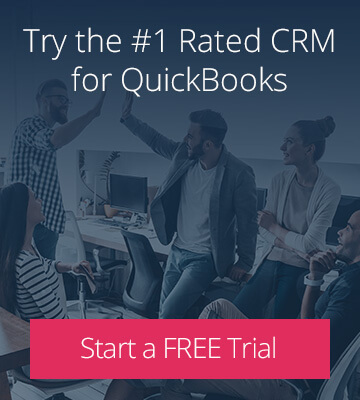 How can I use an online payment gateway with my QuickBooks CRM? Businesses can give their customers access to Method’s built-in customer portals (shown below). In the portal, customers can view their invoices and enter credit card information to make online payments. After the credit card company approves the payments, the payments automatically sync to the Method account and the QuickBooks file. A Method account user can record and process a payment using the Payments app. Again, approved payments will automatically sync to QuickBooks. Nonprofits can use payment gateways too! A nonprofit can set up a Method donor page on their website. When website visitors access the donor page, they can enter credit card information to make online donations. As with payments, donations will sync to Method and QuickBooks once the credit card company approves them. What types of online payment gateways are available? There are a lot of online payment gateways out there, but don’t feel overwhelmed. There are four types of gateways that are compatible with Method:CRM — choose your favourite, then set up the gateway in your Method account. Authorize.Net and PayPal Payflow gateways are available to businesses using QuickBooks Desktop or QuickBooks Online. As soon as you set up your gateway, you can use it in your Method account, customer portals, and donor pages. Intuit QuickBooks Payments gateways are available to businesses with US versions of QuickBooks Online — sorry, international QBO users! These gateways are also ready to use everywhere as soon as you set them up. PSIGate gateways are available to businesses using QuickBooks Desktop or QuickBooks Online. 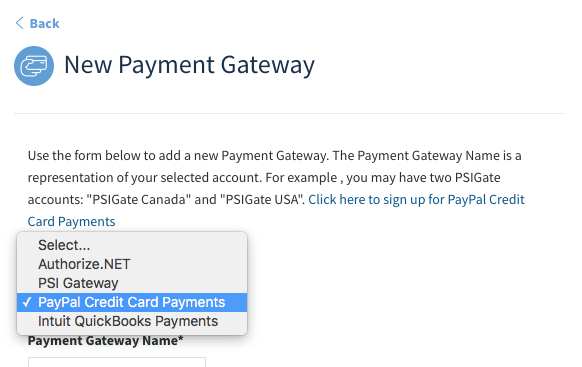 Once the gateway is active, you can use it to process payments in your Method account. Take note — if you want to accept online payments through customer portals or donor pages, some customization of your Method account will be needed. Ready to streamline the way your business accepts payments? Setup of online payment gateways is included in a Method:CRM subscription — so if you’re not yet a subscriber, sign up for your free 30-day trial!